FIRST TIME ON THE MARKET IN 30 YEARS – FANTASTIC DEVELOPMENT OPPORTUNITY – UNITS WELL WITHIN HELP TO BUY SCHEME. 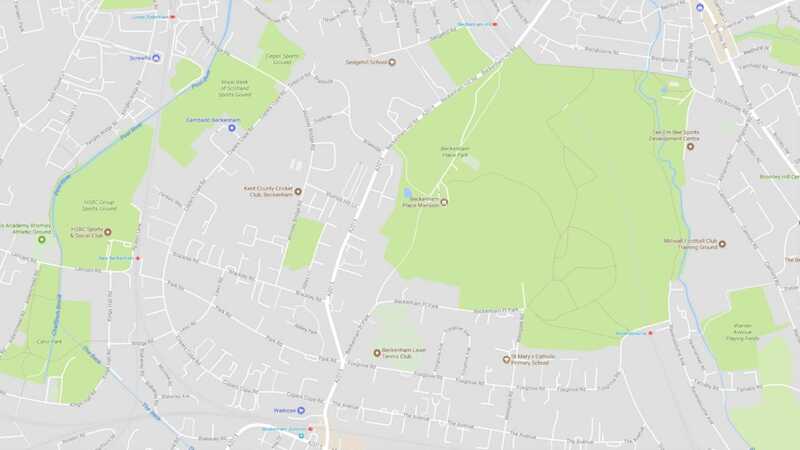 The site lies approximately 0.8 miles to the north of Beckenham Town Centre being situated off the west side of Southend Road at its junction with Stumps Hill Lane. The surrounding area is predominantly residential in character whilst Beckenham Place Park lies on the opposite side of Southend Road and the Kent County Cricket Club of Beckenham lies to the west. Public transport links are provided by a range of bus routes whilst Beckenham Junction Rail Station lies within 0.7 miles to the south providing direct services to London Blackfriars with the journey time of 28 minutes or London Victoria with a journey time of 25 minutes. Southend Road itself forms part of the A2015 which leads north towards the A21 Bromley Road or south to Beckenham Town Centre access to the A222 Croydon Road leading to Croydon located to the south west. 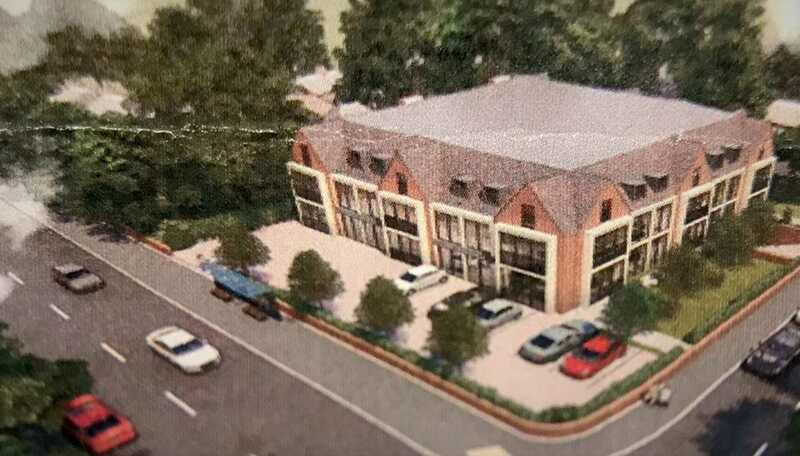 Planning permission was granted on the site, which is now lapsed but provided for the development of the site granted 22nd of December 1989 for a new build development comprising Part 1/2/3 storey block arranged to provide eighteen self-contained flats, ground floor retail space, seventeen semi-basement garages and ten open car parking spaces. Whilst this lapsed planning permission may well set a precedent for development of the site it is considered that under more modern requirements the site would lend itself to a more intense development either purely residential or as per the previous planning a mix of both commercial and residential space. 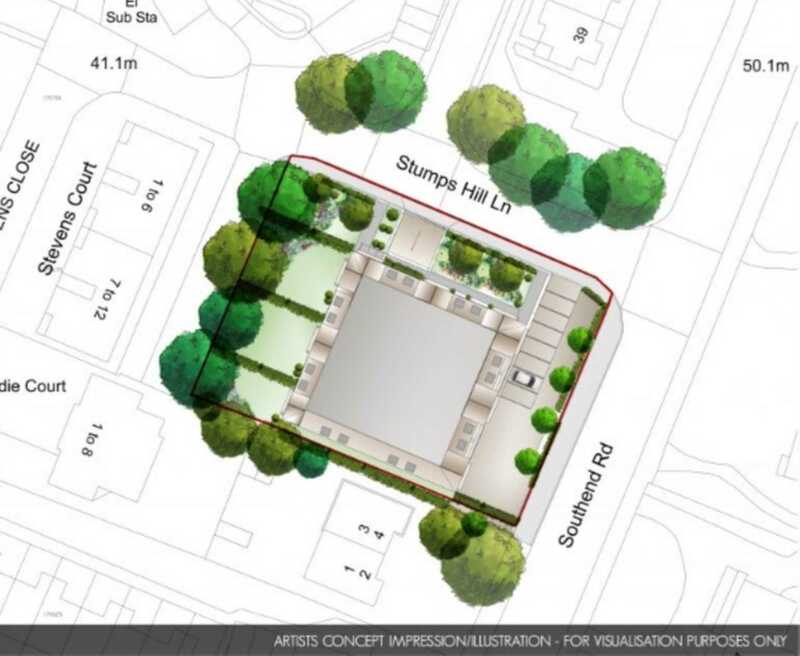 A number of buildings within the adjoining Stump Hill Lane provide multi storey blocks of residential flats and therefore utilising this as the vernacular the site may well provide a far more intense development than previously granted almost 30 years ago. Certainly, the current proposed draft local plan of the London borough of Bromley indicates a requirement for some 641 additional homes per annum over 10 year period with the expectation of "windfall sites" of which this particular site may provide that potential. 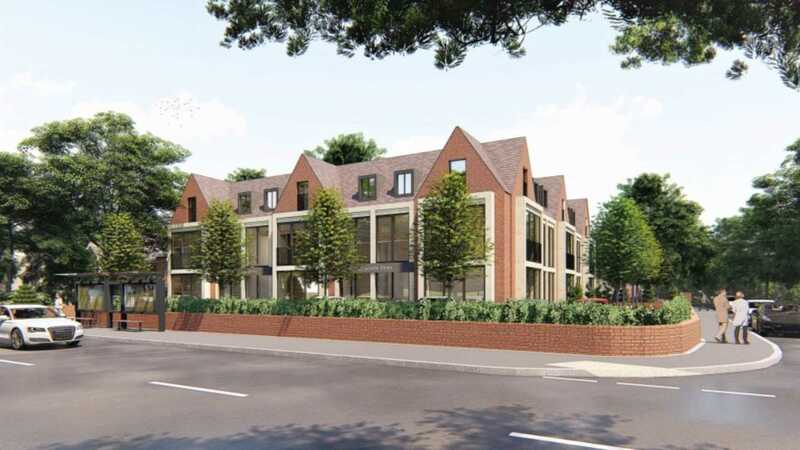 Whilst purchasers are deemed to rely solely on their own enquiries with regard to planning, these details do provide two initial computer-generated images, one showing a mixed residential/retail development and the other, whilst low level compared to the blocks of flats within Stamps Hill Lane, a more intense solely residential development. Note: the computer-generated images in these details are for guidance only and produced using the basis of the previous consents but with a modern design. Local authority planning department: the London borough of Bromley, Tel: (020) 8778 3966.